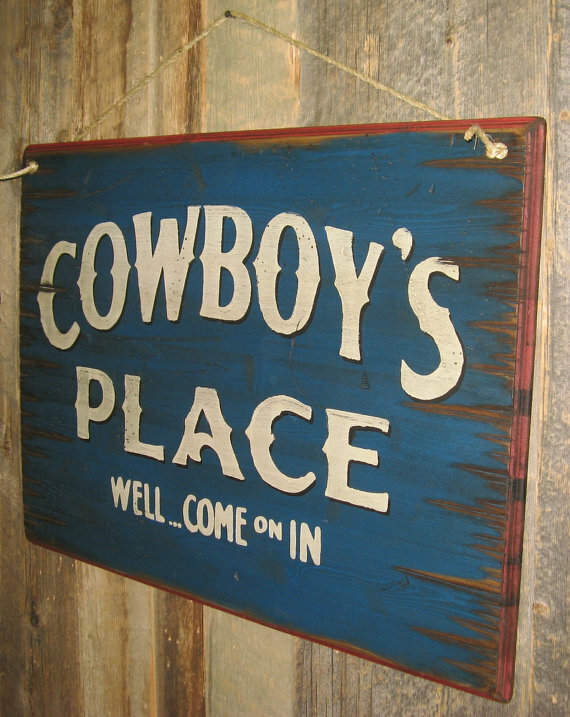 Cowboy's Place, Well... Come On In! 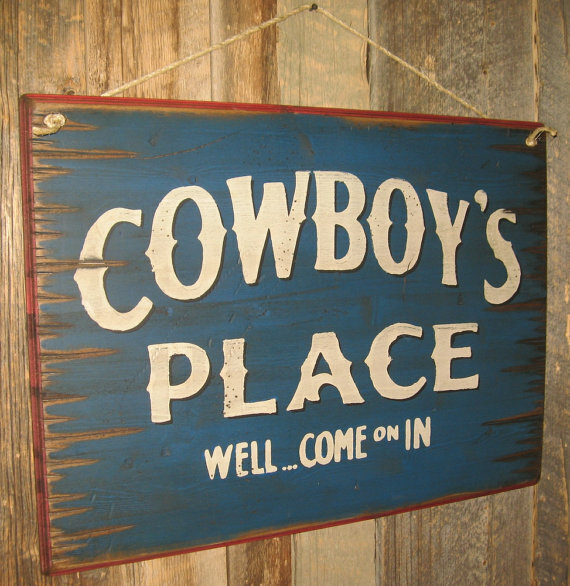 This large dark blue sign can be hung up to welcome your guests! It features a red edge, measures 22x30 and comes with the grass rope hanger for easy hanging! Handcrafted with pride! 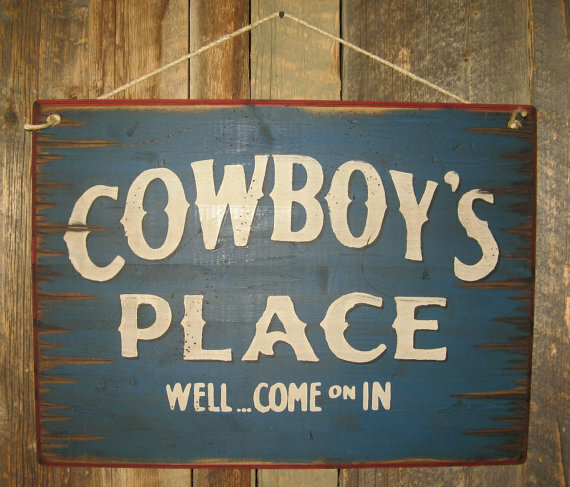 About Cowboy's Place, Well... Come On In!